Love is in the air with Valentine’s Day this week. But a romantic flair to warm up your home design may very well be in style year-round. 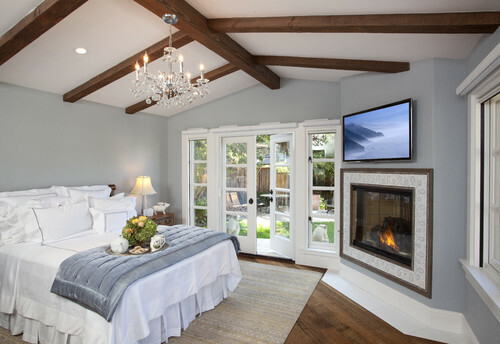 In fact, one-third of homeowners say they intended to renovate their master bedrooms to create a more romantic or intimate space, according to a 2015 survey of more than 1,500 homeowners conducted by Houzz, a remodeling website. How do you achieve a more romantic style with your décor? Here are a few ideas. A faux sheepskin rug under the bed may add a touch of luster to the flooring. Softer colors can add a more romantic vibe. 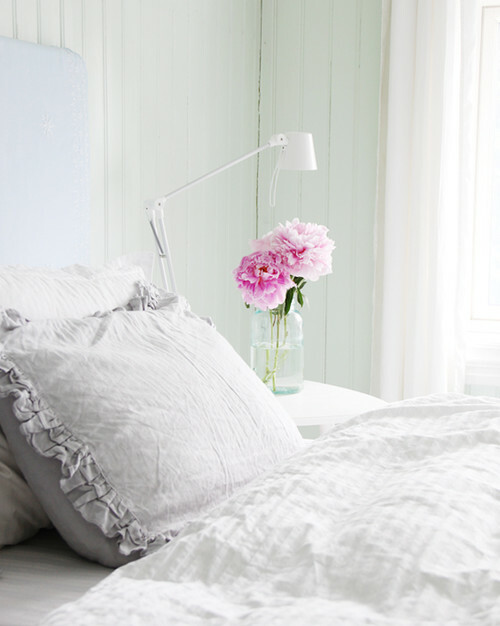 Pristine white mixed with soft pastels may add warmth to a bedroom. Try whites or pastel bedding and accessories up against a slightly darker wall color for just the right contrast. Illuminate a space with the glows from a fireplace or candles. Fresh flowers can spruce up any room in the house–and as an added bonus they often bring a pleasant scent too. Even small bouquets can still make a statement. Add in more glam in the bathroom with a crystal chandelier that can reflect the light and bring a little sparkle. 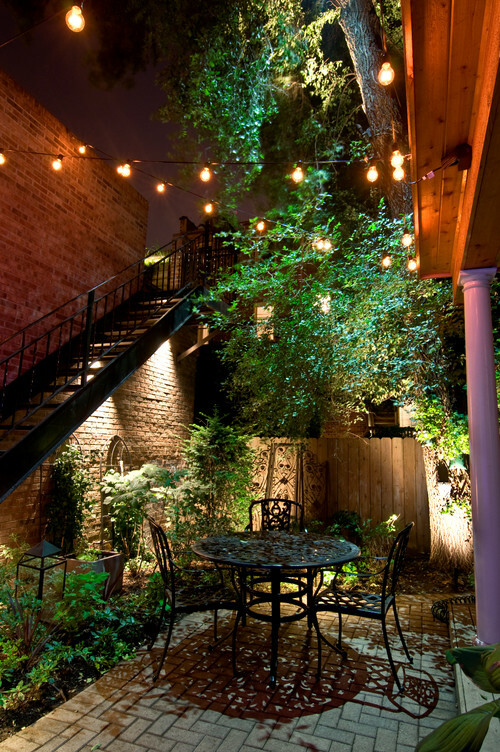 You can get romantic with your landscaping outside too. Set a scene with a small table and chair set, greenery surrounding, and strung lights to create a cozy spot to unwind or dine. Very nice photos! This will serve as an inspiration this Valentine to create an inexpensive an intimate space. Beautiful Valentine’s Day renovation ideas! Very nice suggestions! Definitely makes properties look much more cozy! Fresh flowers throughout the home always a nice touch. Thanks for sharing! Whites and pastels will never go away. Always classic even with splash of colors! Perfect for families and couples who enjoy a warm and cozy home!